« Oh, my!!! You never know what you’ll find in a Rolfe, Iowa, newspaper! These images from the April 3, 1924, issue of The Rolfe Arrow aren’t nearly as juicy as the 1914 Arrow ad I included in the last post. Yet, in this day and age it is hard to believe that once upon a time a brand new automobile could be purchased for $295. 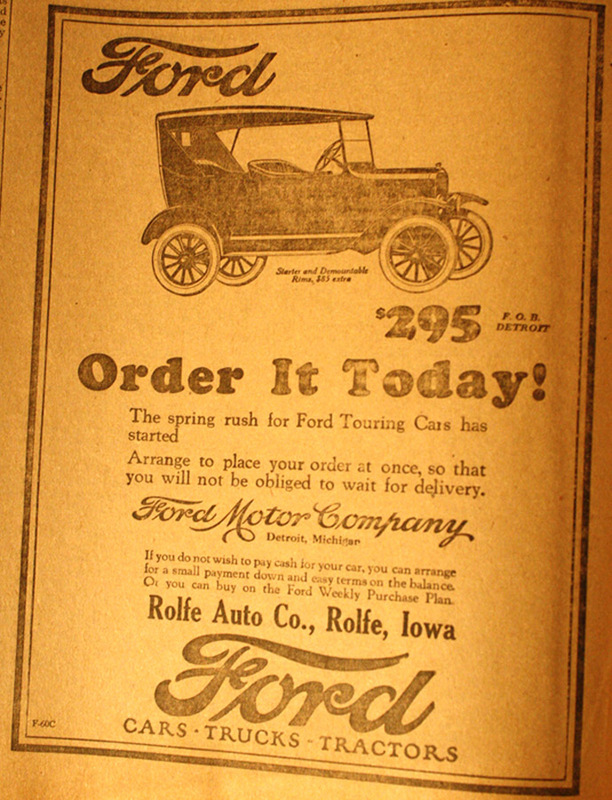 Click on this photo to read who bought new Fords in 1914, and to get a glimpse of how taxes were of concern. 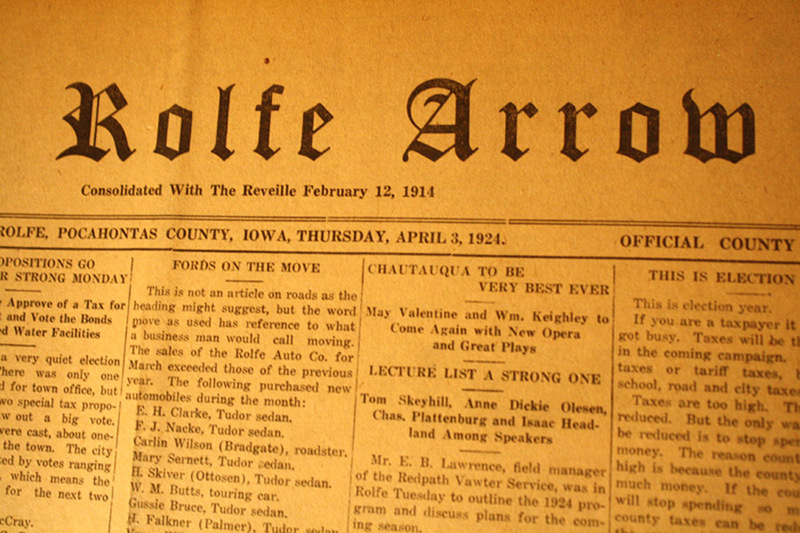 Does anyone know who owned the Rolfe Auto Co.? This entry was posted on April 7, 2010 at 12:49 am and is filed under Uncategorized. You can follow any responses to this entry through the RSS 2.0 feed. You can skip to the end and leave a response. Pinging is currently not allowed. Slim Davidson is the earliest owner I remember. We might have to check the Pocahontas County and Rolfe histories.